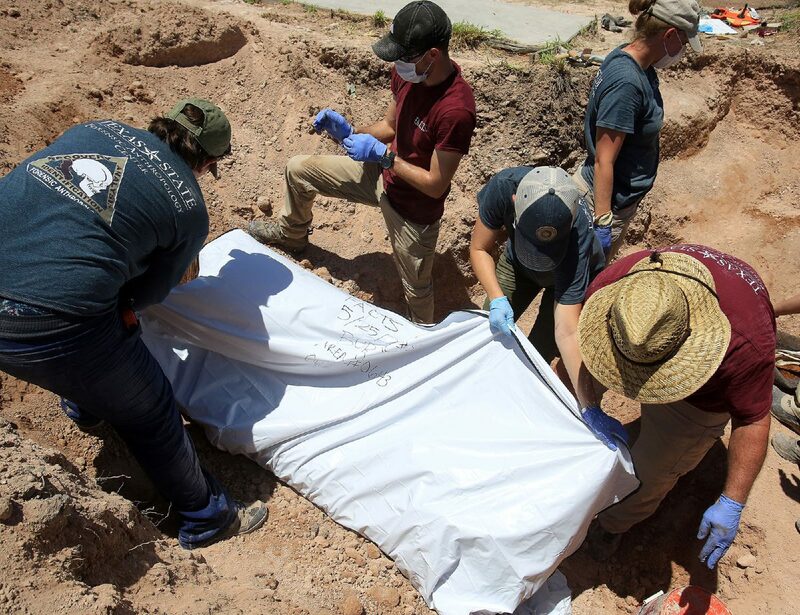 RIO GRANDE CITY — More than 10 unidentified remains were pulled from a Starr County cemetery this week as part of the continuing initiative to locate and identify migrants who died here on their journey. 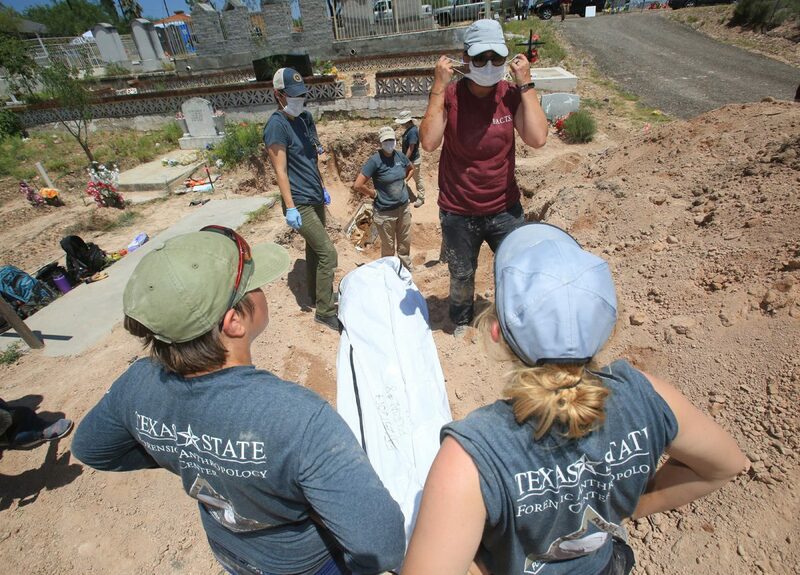 More than 20 undergraduate and graduate students from Texas State University and the University of Indianapolis descended on the county’s cemetery to complete the process of locating remains that were buried for at least 10 years without markings. Their presence this week working to exhume a presumed more than 10 unidentified remains is the culmination of nearly two years of meetings with local county officials, caretakers of the cemetery, and others, for scattered information about possible bodies that were buried within the Starr County Cemetery grounds. Eddie Canales, director of the South Texas Human Rights Center, a community-based organization working to cut the death rate throughout the region, said he, along with TSU associate professor of anthropology Kate Spradley, and Krista Latham of the University of Indianapolis, coordinated with locals for the last 18 months after it was apparent the county had failed to provide DNA samples of the unidentified remains, as required by state law. 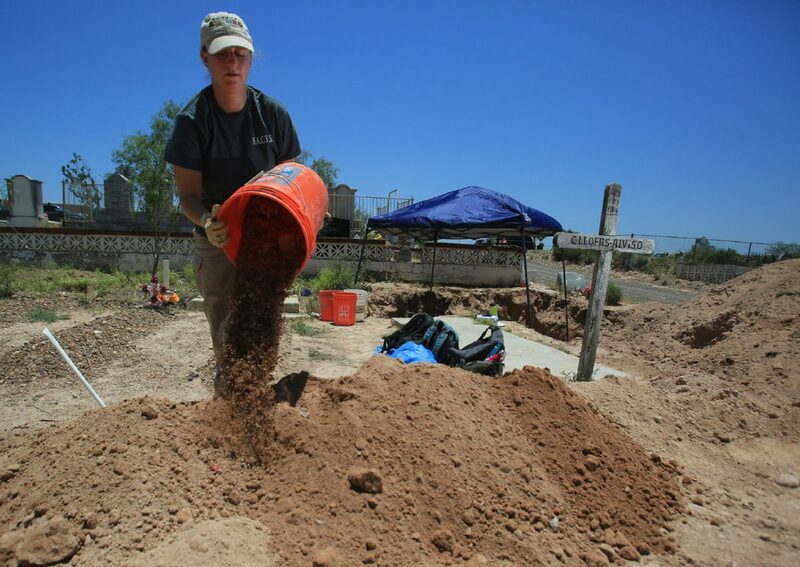 Students from Texas State University exhume the remains of migrants buried in unmarked graves at the Rio Grande City County Cemetery on May 25, 2017 in Rio Grande City. 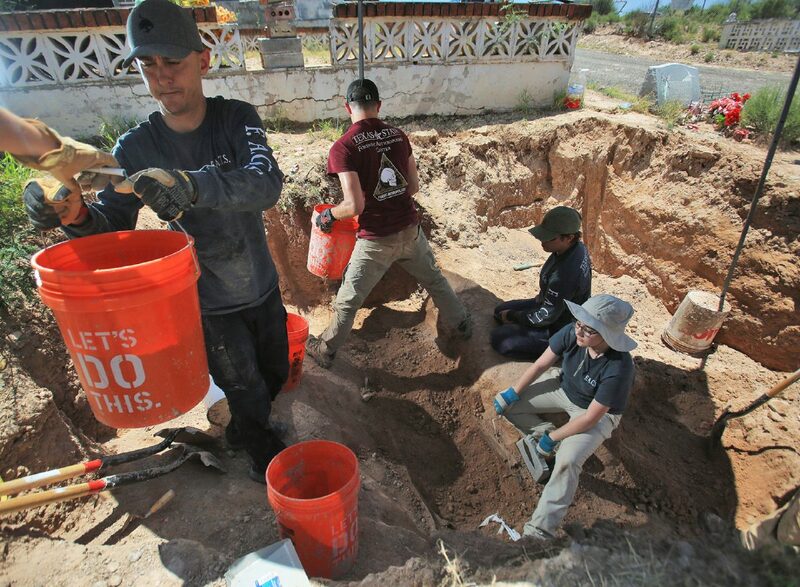 A grave is documented by students from Texas State University as they exhume the remains of migrants buried in unmarked graves at the Rio Grande City County Cemetery on May 25, 2017 in Rio Grande City. 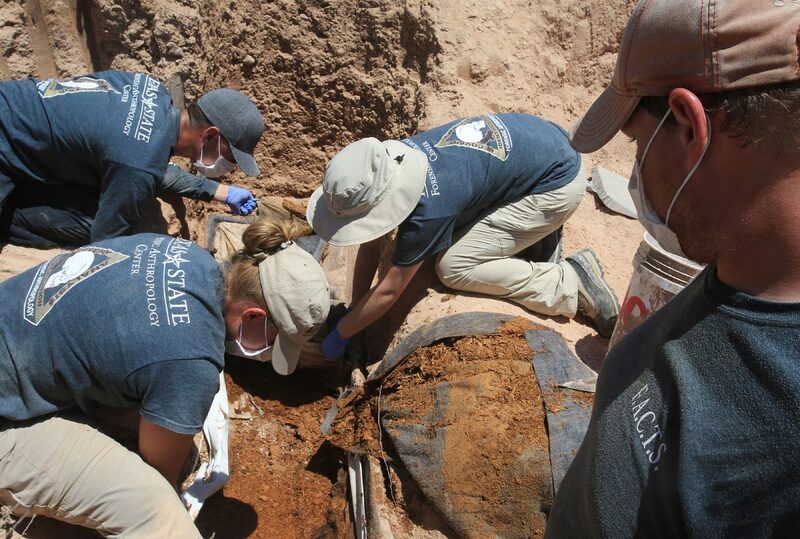 Spradley and Latham joined the exhumations, following the work started by Lori E Baker, associate professor in the department of anthropology at Baylor University, who began making trips to South Texas in 2012, working in Brooks and Willacy counties to name a few. They have been extracting DNA from the human remains and matching the profiles gathered with those of families searching for their loved ones. 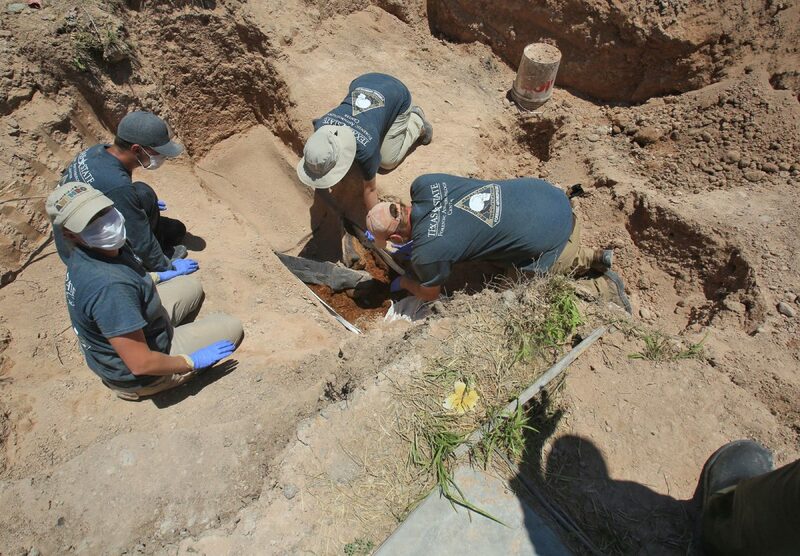 Canales arrived the year after Baker’s team began exhuming bodies buried improperly and without DNA testing in so-called mass graves at the Sacred Heart cemetery in Brooks. Now the team has made its way to Starr County where Canales and other officials learned that unidentified remains were not being processed properly. Spradley said this is the situation her group faces in Starr, where those most familiar with the cemetery, a 90-year-old caretaker, and other county officials, used memory-recall to point out where the remains may have been buried. 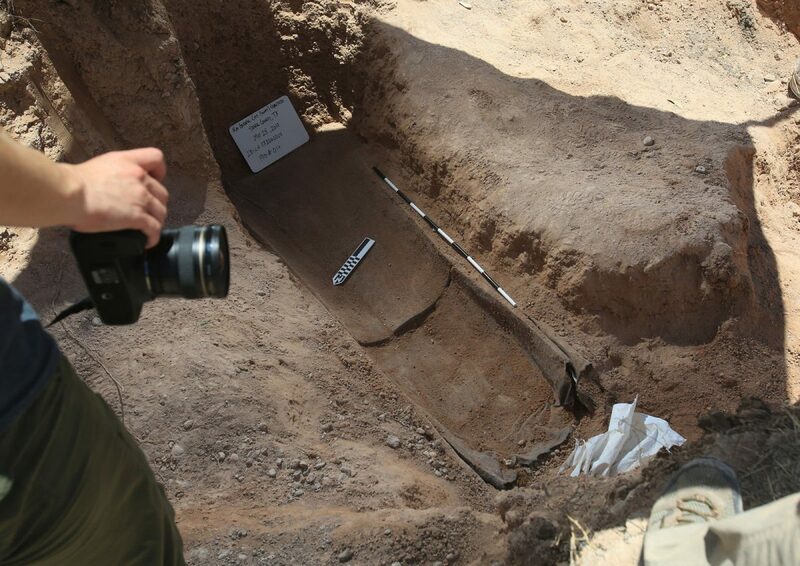 “That’s a big problem — then they’re buried here but no one keeps track of where they’re buried, so if somebody by some chance were to come forward, and there’s an identification hypothesis, we don’t know where to look. So that’s challenging in every single county. Every single county does things differently, but the end result is the same, where you’re left with unidentified human remains that nobody has kept track of,” she said. Despite still sorting through remains from their prior trips to Brooks County, the group, which will work through the end of the weekend, will head back to the lab in San Marcos, to begin the next phase of the identification process. Spradley said the steps include removing and cleaning the remains, setting aside personal effects, and continuing the process of identifying the remains. Four of the more than 20 students working in the cemetery are students from the University of Indianapolis, who were brought by Latham. 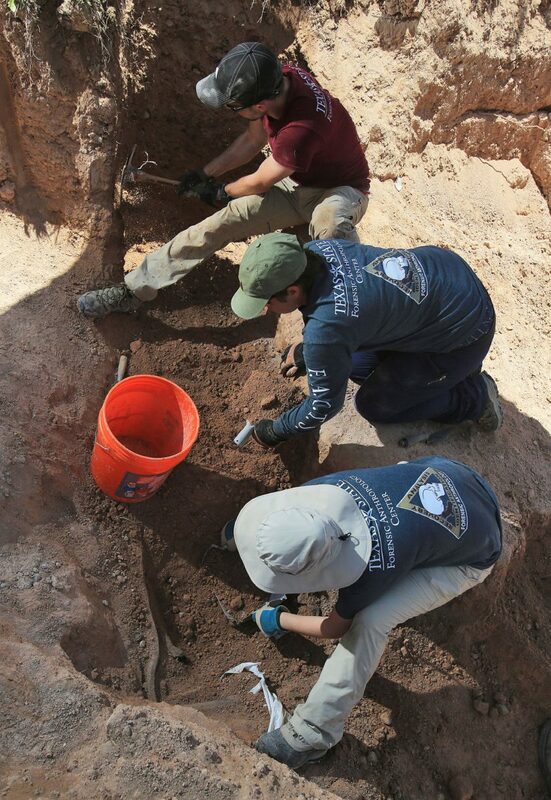 Latham, an associate professor of biology at UIndy since 2007, said the work has brought a new perspective for the volunteers working to exhume the remains. “Most of (the students) say it’s life changing. They say that in terms of their outlook and perspective. Most of the students are local Midwestern students, so they’re very far removed from border issues, and the information that we get in the Midwest is through the news, so it’s often distorted, a little inaccurate, and it’s not until they come down here that they realize that the situation is much different — it’s much more of a humanitarian crisis, and they’re really able to be immersed in these issues and understand them in a way that they would never understand them if they were just reading about them, or seeing them on the television,” Latham said. Canales, who considers Spradley, Latham and the volunteers, heroes, said they will continue to find the corpses of migrants until immigration policy changes to identify the need for labor in the United States. “It can’t just be a policy of just enforcement, incarceration and criminalization,” Canales said. He said there must be a change so that the endless deaths witnessed and experienced by migrants crossing into the country ends. 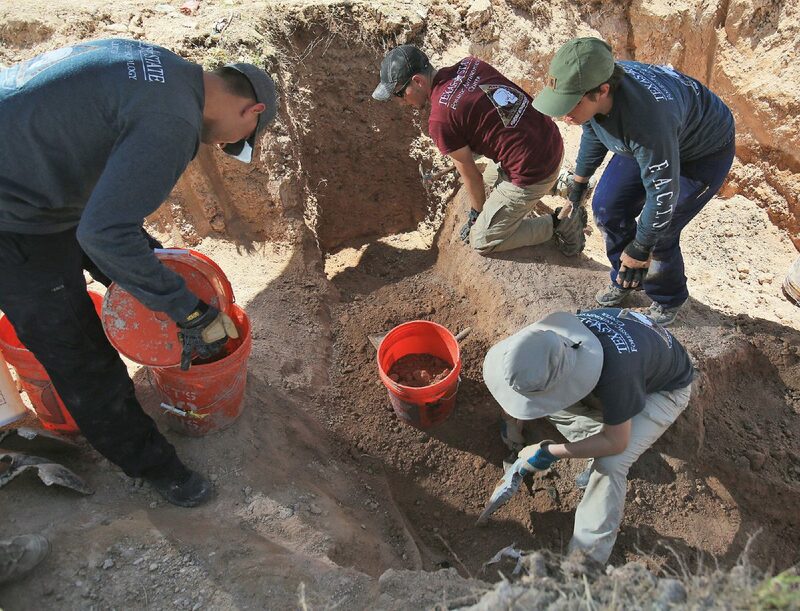 As of Friday afternoon, the group had recovered 12 unidentified remains, a few more than what they expected to find based on the recall of those familiar with their burial.